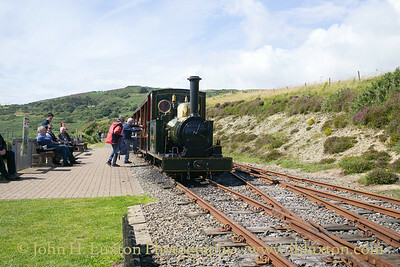 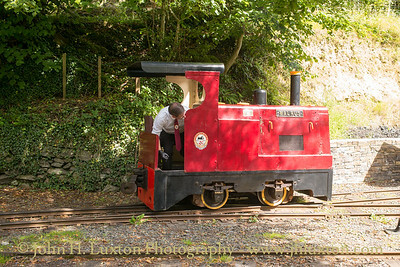 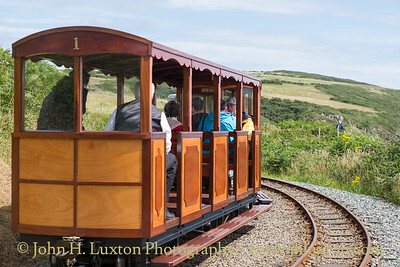 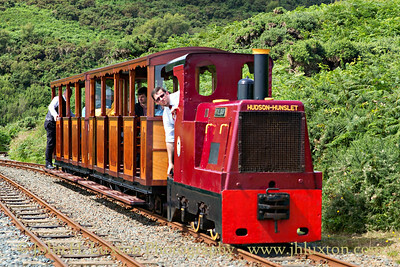 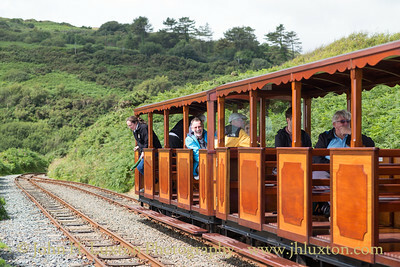 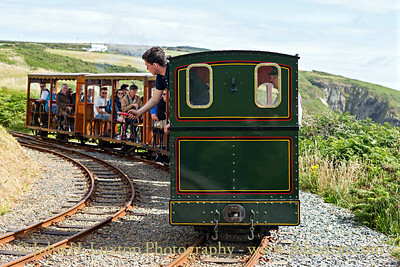 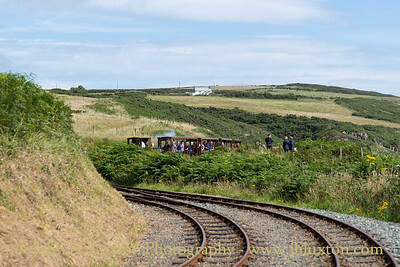 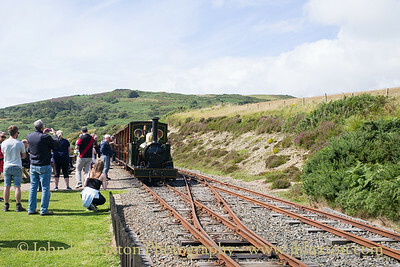 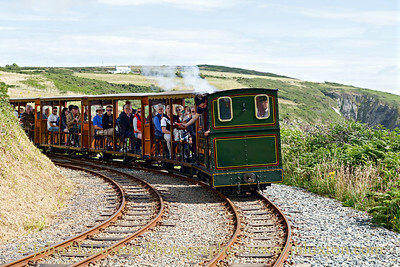 The restored Victorian tourist railway which goes uphill to the sea! 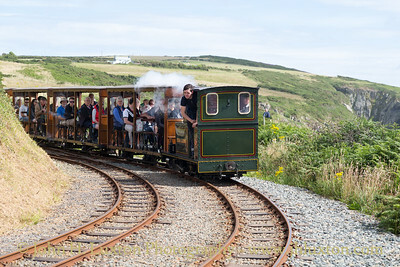 The images are presented in reverse chronological order with the most recent appearing first. 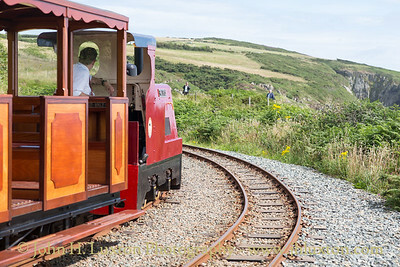 WALRUS heads a train through Headland Loop. 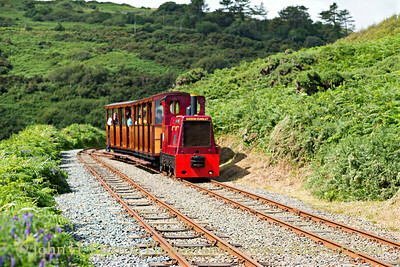 SEA LION heads a Lhen Coan bound train through Headland Loop. 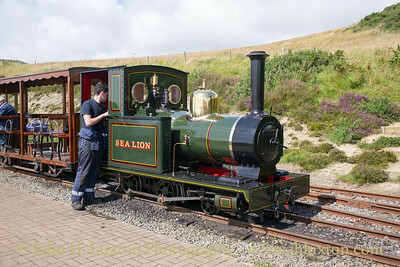 SEA LION at Sea Lion Rocks Station. 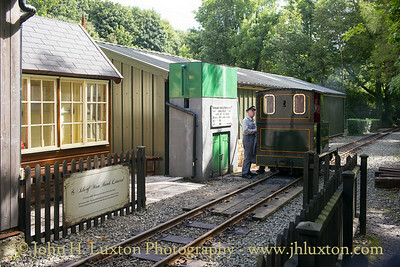 Lhen Coan Station and depot. 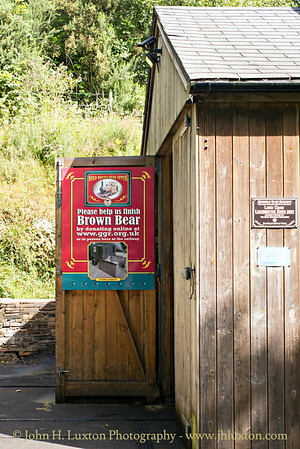 Poster promoting the construction of Brown Bear. 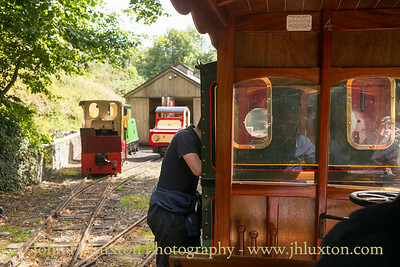 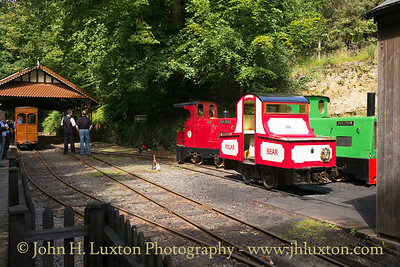 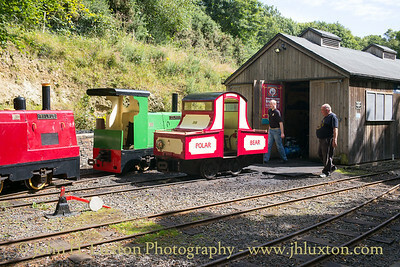 Locomotives outside of the depot at Lhen Coan. 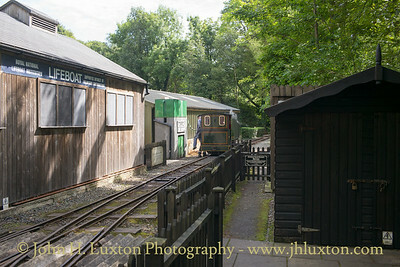 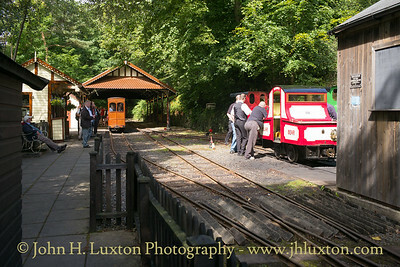 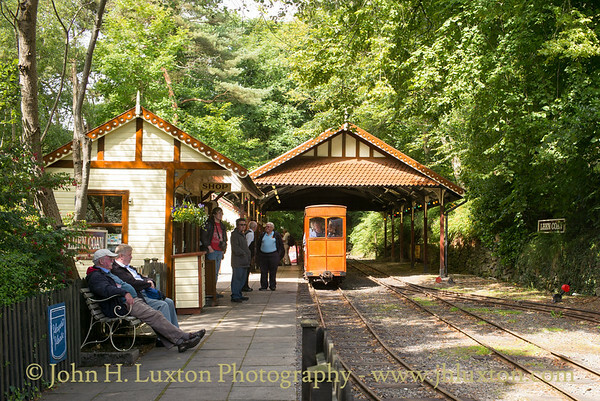 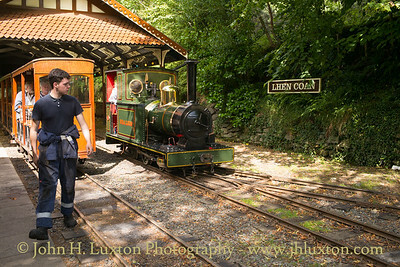 Lhen Coan Station with train of original stock. 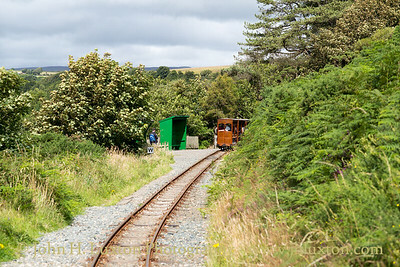 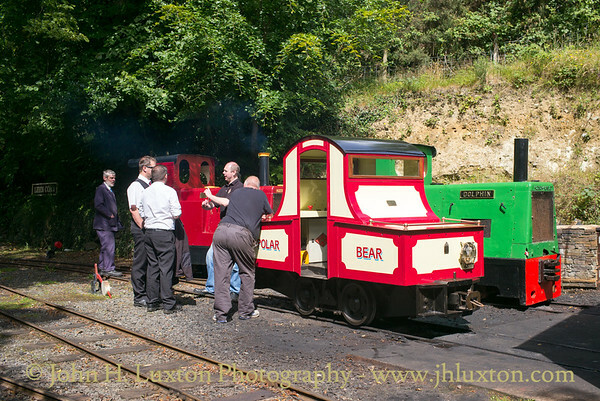 Lhen Coan station as SEA LION runs around.